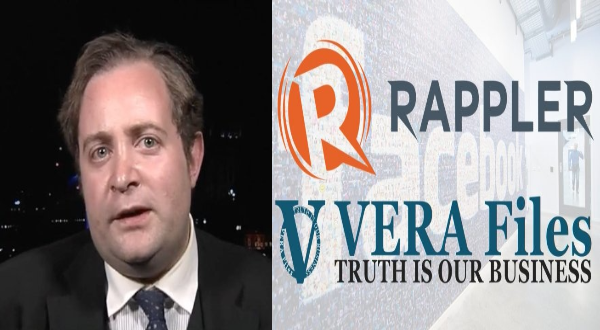 In light of recent events where Facebook has partnered up with Rappler and Vera Files in order to eliminate “fake news.” An audience of ordinary users of the social media site Facebook raised qualms against its effect on the freedom of speech, the users own ability to convey their opinions and the censorship of the content that these people create. Is Facebook becoming the nemesis of the people? Geo-political expert, Adam Garrie of eurasiafuture.com has foreseen a better way of dealing with this politicization of Facebook. With Rappler and Vera Files having their own political sides against the uncommons of the Philippines, the Die-hard Duterte Supporters (DDS), the biases in the moderating organizations will utterly eliminate such freedom of speech that the DDS have. By “fact checking” their opinions that contain the necessary inevitable of human speech, their voice will be censored out of the system. This is what the future of the Philippine Social Media will have, oppression in the virtual space that’s meant to be the free land that we can all dwell in. And with the relations of Facebook with Rappler and Vera Files, the questionability of the social media website allegiance with the masses and its scandalous selling of private information to third party entities, a huge number of users have opted to shift to VK, a Russian-owned social media platform that is incredibly similar to Facebook yet it does not censor out the free speech of its user base. But it looks like Facebook would still win this, being successful oppressors of free speech. Facebook has become a bane of its user base. And this is why Garrie gave the best way to counter the oppressors, in the virtual battle field, it is all about the money and image. Destroy Facebook’s source of revenue and successfully eliminate the threat that it created. A simple invite for the advertisement companies to boycott Facebook with the DDS is enough to destroy the oppression. And if they don’t support the rebellion, publicly shame them. If these advertisements have their image destroyed, would the user base still opt for them? This plan requires a lot of support and coordination, by threatening the “trusted” social media platform the people shall regain control, the rebellion will stop its partnership with the heavily politicized Rappler and Verafiles and Facebook is left with the choice to either heed with the request of its user base, give them back their legitimate of freedom of speech or shutdown their site. “...contact the advertisers and if that doesn’t work, name them and shame them,” Garrie recaps the solution.